Dr. Nick Foreman is the head of the clinical and research pediatric neuro-oncology programs at both the Children’s Hospital and the University of Colorado Denver. He is a full, tenured professor. Dr Foreman founded the neuro-oncology program in 1995. Since that date the program has seen over a thousand children with brain tumors. The survival rate for those children has increased with time and now two-thirds of children diagnosed with brain tumors will be survivors. The program has made major impacts on survival in very young children with medulloblastoma and glioblastoma and in older children with gangliogliomas and PXAs. The research side headed by Dr Foreman is very active and has published over 20 peer-reviewed papers in 2013 alone. Dr Foreman heads a group of 6 investigators dedicated to improving outcomes in childhood brain tumors. A native of Albuquerque, New Mexico, Dr. Hankinson completed his undergraduate degree in Political Science and Spanish at Middlebury College in Vermont. He then spent a year working in the oncology department at New York University, conducting clinical trials in malignant melanoma. Dr. Hankinson completed both medical school and neurosurgery residency training at Columbia University/Neurological Institute of New York. He then proceeded to complete subspecialty training in pediatric neurosurgery at the Children’s Hospital of Alabama. During medical school, Dr. Hankinson also completed a Masters of Business Administration at the University of Oxford, England. He joined the faculty at Children’s Hospital Colorado/University of Colorado in August, 2010. Dr. Hankinson’s clinical interests include the surgical management of central nervous system tumors and cervical spine disorders in children. His research focuses on pediatric brain tumors. His current work includes collaboration with laboratory scientists to study the biological characteristics of a tumor called Craniopharyngioma, with the goal of identifying pathways that can be targeted by medical therapies. He uses advanced bioinformatics to study these tumors and leads a multi-center effort to both describe the biology and clinical outcomes associated with Craniopharyngioma. Dr. Hankinson has published over 30 academic papers, 10 book chapters and regularly presents his work at national and international research meetings. Dr. Amy Keating is originally from Chicago, Illinois where she graduated from Northwestern University Medical School and completed her pediatrics residency, serving as Chief Resident, at Loyola Medical Center. Dr. Keating moved to Children’s Hospital Colorado in 2003 for subspecialty training in Pediatric Hematology, Oncology, and Bone Marrow Transplant and transitioned to faculty in 2007. Dr. Keating oversees a small group of laboratory scientists with a primary goal of understanding of the TAM family of Receptor Tyrosine Kinases (RTKs) and how these proteins contribute to the development and progression of human pediatric brain cancers. This RTK family regulates an intriguing mix of normal cellular processes, including proliferation/survival, adhesion and migration, blood clot stabilization, and regulation of inflammatory cytokine release. However, abnormal expression of the TAM family receptors has been linked with multiple different cancers including leukemia, melanoma, and cancers of the lung, breast, colon, prostate, thyroid, and liver. Dr. Keating’s laboratory discovered unusual expression of TAM family proteins in samples taken from pediatric patients with brain tumors. Since then she has been specifically focused on inhibiting this protein family in glioma and astrocytoma, and has found that she can improve response to standard chemotherapy, slow migration and invasion of cancerous cells, and block tumor growth in animal models of the disease. Dr. Keating is now working toward introducing these ‘benchside’ findings into therapy that can be used in the clinic, with the hope of developing a novel therapy for pediatric brain cancers. ​Dr. Mulcahy Levy grew up traveling around the world with her Air Force family before settling in Portland, OR to complete her undergraduate studies in Biology at the University of Portland and her medical studies at Oregon Health & Science University. She completed her pediatric residency training at the University of Arizona and then took a year to work in Lilongwe, Malawi, Africa with the Pediatric AIDS Corps to help expand pediatric HIV/AIDS care and education in the country. She then completed her Pediatric Hematology/Oncology training at the University of Colorado and Children’s Hospital Colorado. Dr. Mulcahy Levy is now an Instructor in the Department of Pediatrics Center for Cancer and Blood Disorders with a clinical focus in neuro-oncology. Her laboratory research focus is the study of autophagy, a process cancer cells use to grow and survive even through chemotherapy and radiation treatments. Blocking autophagy is a promising target to improve cancer treatment and survival. Her goal is to determine how to block this survival pathway to improve therapy for children with brain tumors. She uses advanced molecular biology as well as mouse models to study tumors, moving findings rapidly from the lab to our patients. As a physician-scientist who sees all too often the devastating impact of brain tumors on patients, I am highly motivated to understand the molecular basis for new therapeutic options for patients with brain tumors. My focal interest revolves around identification and validation of novel the molecular targets for treatment of aggressive brain tumors such as medulloblastoma. During my fellowship and early instructor years at the University of Iowa I carried studies on the role of microRNA biology in CNS tumors. I was awarded a National Institute of Neurological Disorders (NINDS) K08 training grant to further investigate the role of microRNA in medulloblastoma. As a result I was recruited to the University of Colorado to further advance my work. In this setting I was able to take advantage of the large brain tumor bank and the nationally recognized neuro-oncology expertise of Dr. N. Foreman. Using the large pediatric brain tumor gene expression database and the excellent environment at the University of Colorado I have developed a robust neuro-oncology research program to understand the molecular mechanisms of medulloblastoma cell behavior and identify novel pathways as drug targets. I have successfully managed an independent laboratory with 3-5 individuals and developed a highly productive program that has resulted in 12 published manuscripts (7 senior author) in the past two years. In addition I am a core member of the Medulloblastoma Advanced Genomic Consortium (MAGIC) that has resulted in leveraging data form hundreds of medulloblastoma samples to examine the genomic underpinning of this disease. 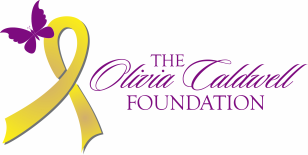 Learn more about the research projects funded by Olivia Caldwell Foundation.